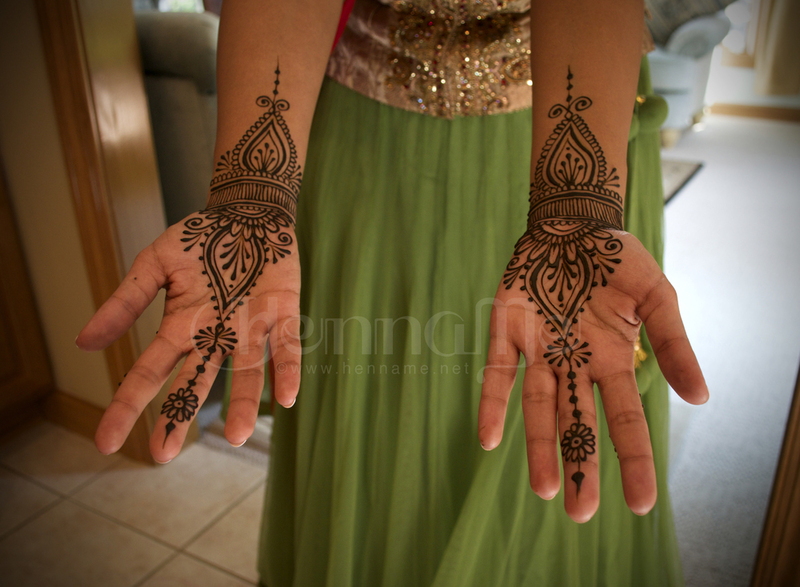 Not just for Asian weddings, more and more brides are decorating themselves with henna. 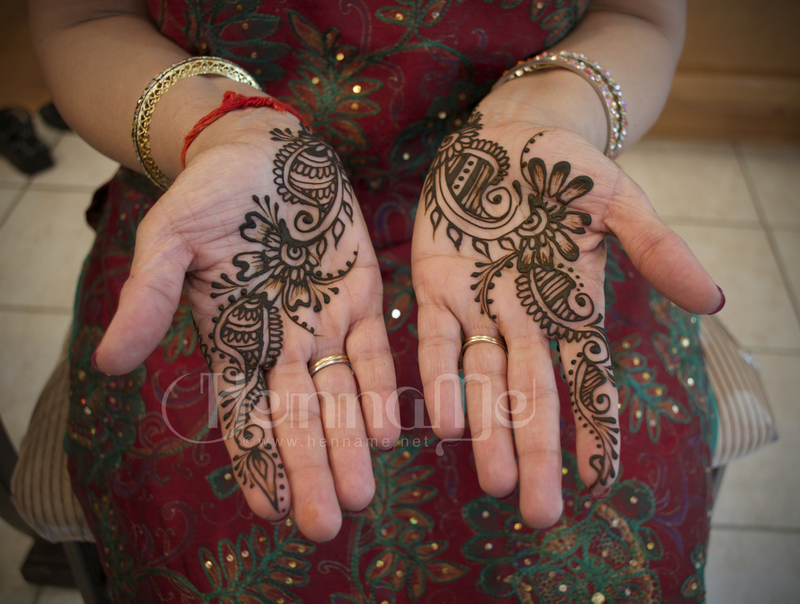 Bridal henna appointments are charged by the hour and are based on location. Please email us for a quote. Most bridal sessions run 3-5 hours on average. Guest and family henna is also charged by the hour. Simple strips average 5-7 minutes each. Full hands can take up to a 30 mins each depending on complexity. Please note that photos in which the henna looks black were taken when the paste was still on.